Welcome Burners, to the Burning Man Community Page. This page is here to help those heading to Burning Man who are looking for information on Hexayurt construction and craft. Hexayurt design is an award-winning micro-architectural innovation used around the world; from emergency relief shelters to outdoor adventurers; from Black Rock to Little Rock. This simple geodesic structure is sturdy enough to keep the wilderness out and a sanctuary within. Hexayurts, as opposed to traditional synthetic fabric tents, can be made of simple efficient and sustainable materials. So easy, they can even be assembled by a novice. 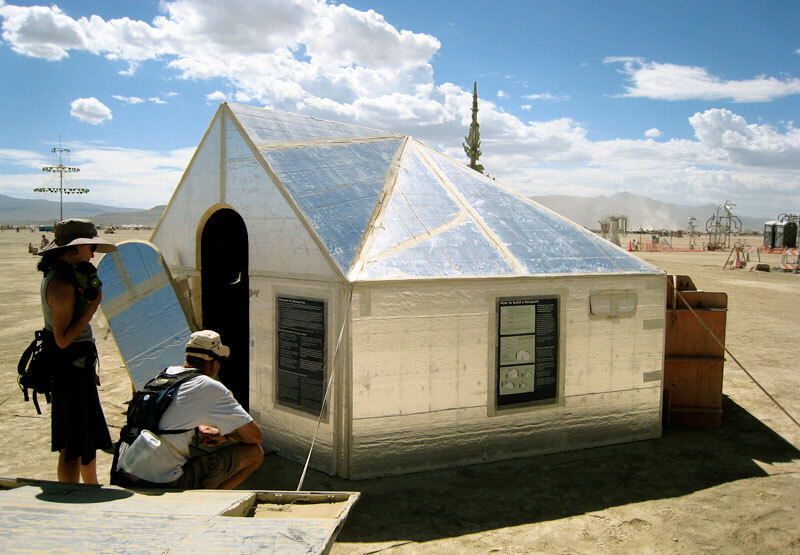 Using easy-to-find and inexpensive supplies like plywood or insulated panels, alonside our bi-directional filament tape, you can build your own Hexayurt. We recommend 6” rolls but 4” and 3” will work as well.